The large kitchen and dining room is wonderful for entertaining your friends and family as is the wrap-around deck overlooking the swimming pool. Deer are almost a daily attraction. Alta Sierra Country Club is open to the public and two blocks from the home. Historic Nevada City with live entertainment, multiple antique shops and varied restaurants is only 12 miles from Alta Sierra and downtown Grass Valley is a short 8 mile drive. The Nevada County Fair is rated one of the best in the country. This is a family home which has recently been updated. I live in Reno, NV, but have family in the area that oversee and manage the home. Any concerns or needs can be immediately taken care of. This home was built by a family member who lived there until her death. It holds very special memories and will stay in the family forever. We love attending the Victorian and Cornish Christmas fairs, as well as the Draft Horse Classic. Live theater is active throughout the year. We love this area. Golfers! This home is conveniently located within walking distance to the Alta Sierra Country Club - across from the 11th fairway. Wildlife is abundant and can be viewed from the back deck as well as the picture windows from the home. Daily. The swimming pool is a welcome amenity and is fully maintained throughout the year - although cold in the winter. Enjoy this spacious 2,300 sq. ft., tastefully furnished home with family and friends. The home is well suited for entertaining indoors or out. 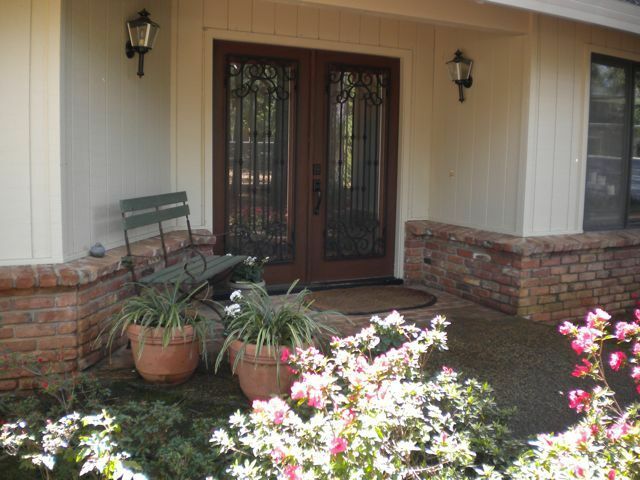 It is a short 2 block walk to the Alta Sierra Country Cub for golf or dining. GV and NC feature art galleries, numerous antique shops and boutiques, vineyards and wineries, cultural centers, day spa and salons, the Empire Gold Mine State Park, County Fair, Cornish and Victorian Christmas as well as many special events and live theatre. Alta Sierra Club House is within a two-block walk. House is located across from the 11th fairway.